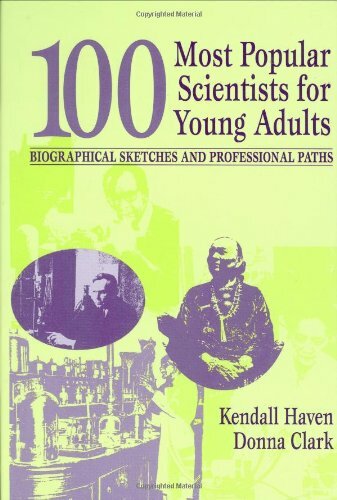 Revealing the career histories of successful 20th century scientists, this exciting resource offers students fascinating reads, a wonderful research tool, and tips to launching a science career. They'll learn about Robert Ballard, the oceanographer who discovered the Titanic; Annie Wauneka, who eradicated TB among the Navajo; and Chien-Shiung Wu, a physicist who worked on the Manhattan project. They will also find information about many Nobel Prize winners and such familiar personalities as Sally Ride, Carl Sagan, Stephen Hawking, Jacques Cousteau, Dian Fossey, and Margaret Mead. Physical, earth, and life sciences are represented, with a focus on contemporary North Americans. Descriptions of each scientist's most important contributions and biographical sketches are accompanied by words of advice to today's students who wish to establish a science career. Photos of some of the scientists illustrate the text, and lists for further reading are included. If you have any questions about this product by Brand: Libraries Unlimited, contact us by completing and submitting the form below. If you are looking for a specif part number, please include it with your message.